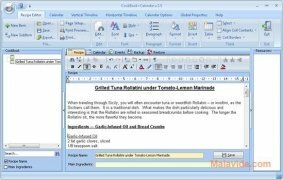 If you like cooking and having full control of the menu that you usually eat, it is advisable to use an application that will allow you to create a database with the recipes that you use, so as to be able to make sure that you always have all the necessary ingredients to cook each of the dishes. 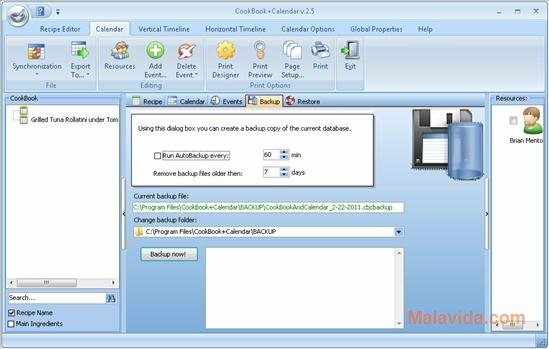 For this purpose you can use CookBook+Calendar, an application that has been designed as a database for recipes that allows to create general menus as well as menus for specific diets. 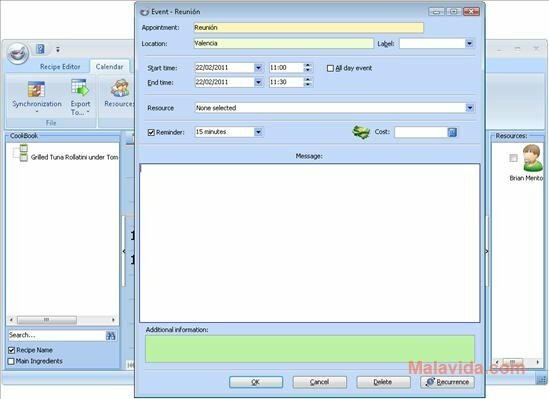 The recipes can be included by writing them in directly in the application or they can be imported from different text files. 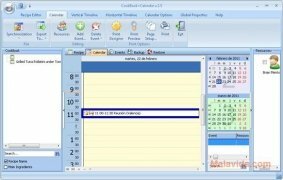 Once you have all the recipes in the application creating the menus will be very easy, because all you will have to do is drag and drop the different recipes to the calendar, so that the application can add them to the menu. 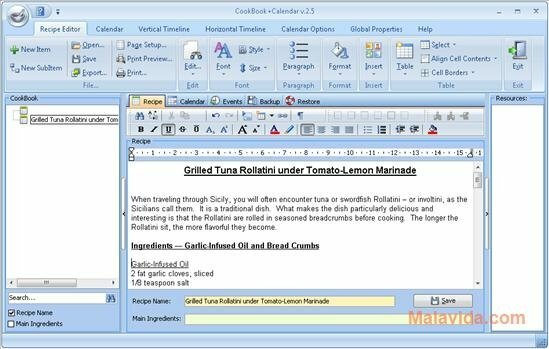 What's more, CookBook+Calendar allows the possibility to differentiate for which person each of the menus is, or even to calculate how much each dish costs, something that can come in very handy to control the family economy. 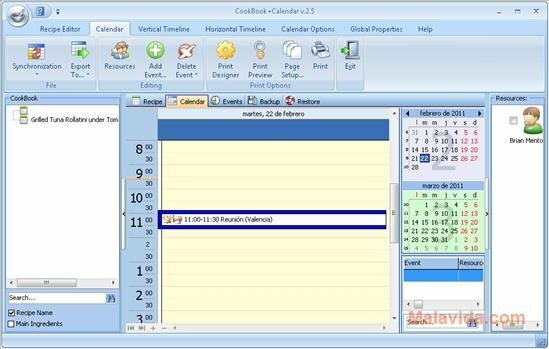 On the other hand, CookBook+Calendar can also be used as a personal organizer, placing the most important appointments to make sure that you don't forget any of them. Therefore, if you need a recipe book that will also allow you to create menus, download and install CookBook+Calendar. The trial period of this application is 14 days.